Glaciers usually advance during cold times and recede during warm ones. These two in western Greenland are now retreating from where they may have been when the Vikings arrived. Photo Credit: Jason Briner. So far it was thought that the Norse, or Vikings, settled Iceland to south-western Greenland around 985. The colonies, however disappeared between 1360 and 1460, while the native Inuit remained. Scientists attributed this to weather, since the Vikings’ apogee coincided with the Medieval Warm Period, generally dated from about 950-1250, while their disappearance followed the onset of the Little Ice Age which ran from about 1300-1850. 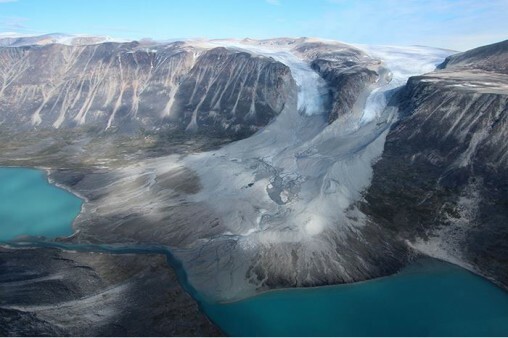 However, based upon signs left by old glaciers, researchers say the climate was already cold when the Norse arrived—and that climate thus probably played little role in their mysterious demise some 400 years later. On a larger scale, the study adds to building evidence that the so-called Medieval Warm Period, when Europe enjoyed exceptionally clement weather, did not necessarily extend to other parts of the world. A new study in the journal Science Advances introduces the concept of the Medieval Warm Period as a global phenomenon as Eurocentric, since the climate has not been the same throughout the globe. 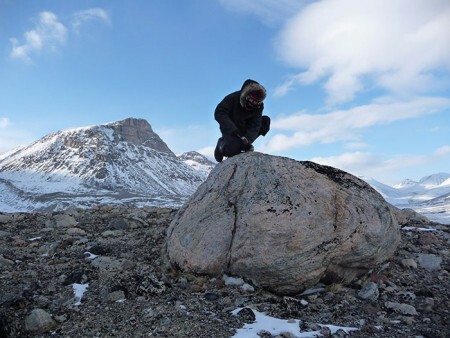 “It’s becoming clearer that the Medieval Warm Period was patchy, not global,” said lead author Nicolás Young, a glacial geologist at Columbia University’s Lamont-Doherty Earth Observatory. 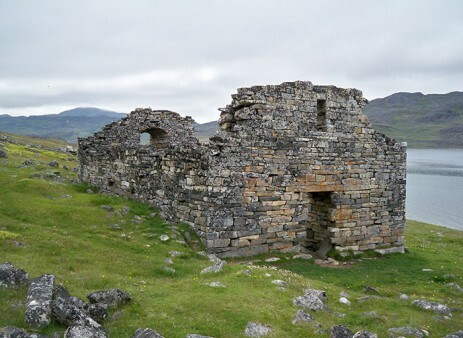 The fact that the Vikings abandoned Greenland may be due to factors such as hostilities with the Inuit, a decline in ivory trade, soil erosion caused by the Vikings’ imported cattle, or a migration back to Europe to farms depopulated by the Black Plague. Therefore bad weather and change in the climate is not regarded as the only factor. 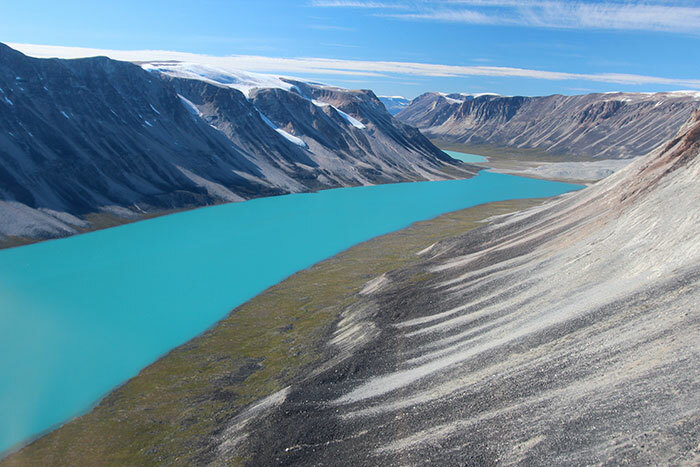 New evidence presented in the study, after precise methods of analysiing chemical isotopes in the rocks left by advancing glaciers in southwest Greenland and Baffin Island, have shown that the glaciers had neared or reached their later maximum Little Ice Age positions between 975 and 1275, when the Vikings arrived. Rock samples were analyzed at the University at Buffalo, and at the Lamont-Doherty lab of geochemist and study co-author Joerg Schaefer. In addition to Young and Schaefer, the paper was co-authored by Avriel Schweinsberg and Jason Briner of the University at Buffalo, who carried out the Greenland portion of the fieldwork.